The client set up a new captive in Europe for parent business, going forward however their preferred fronting company would not accept the historical lines. 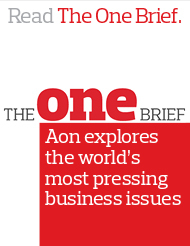 Aon’s approach was to set up a cell in White Rock to act as the run-off platform meeting the client’s requirements - no capitalization required. The result for the client was the avoidance of capitalization and its replacement with a parental guarantee which will only be called upon in the event of unexpectedly high claim activity.